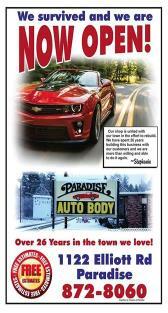 There is only one Paradise Auto Body and Frame. Serving you from the same location for more than 26 years. If it is damaged, we will make it like new. 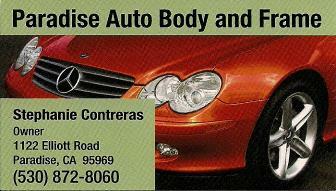 If you just want it to look new again, stop by and see us today. © Copyright 2010 - 2016 — All Rights Reserved. 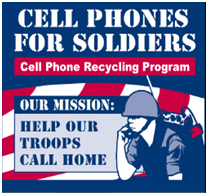 “Donate Your Old Cell Phones and Help Our Troops Call Home” We Are An Official Drop Off Point. Call or Stop By For Details! Click the photo above to see us in action! Please help, Adopt a Soldier for Christmas is a non-profit ministry to troops stationed in Afghanistan. We send hand packed Christmas boxes filled with items from a wish list. All items and postage are donated by individuals and business in our community. 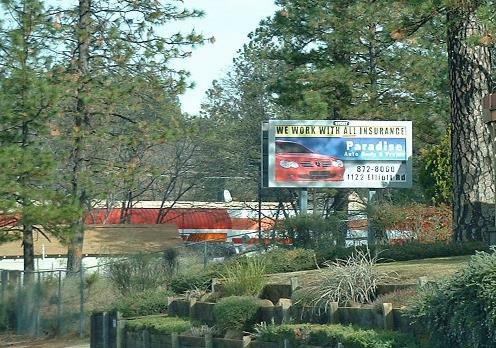 A Donation Box is at Paradise Auto Body. Stop By Or Call For Details!